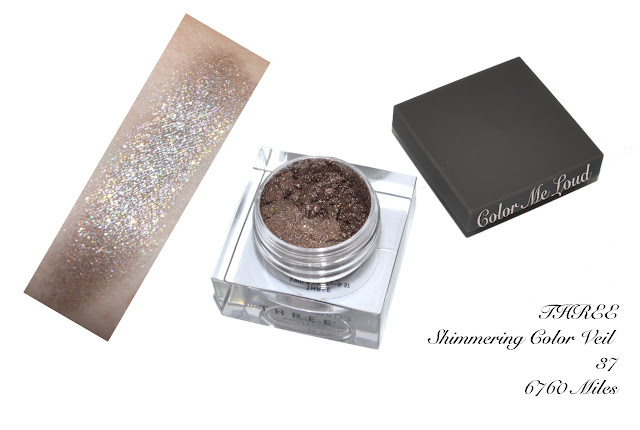 I think the most exciting products of THREE make-up line are the loose pigments which are called Shimmering Color Veil. Those have incredibly pretty multi dimensional shimmer which blinks at you until you give up and purchase them. I just got only one to try out and now I regret I didn't get a few more. I was not sure if I would use the loose pigment all that much because it is harder to make it work than say a pressed eye shadow. The shade I picked up is called 6760 Miles, it is a taupe with silver and gold shimmer. The finish of this is out of this world. It is wearable, no way over the top but very unique. Big love here. Check out Belly's great review of the same product here. Now comes the most famous product of the line, THREE Performance Eyeliners. Thanks to Linda who picked up a few for me, I already had some of these to start with. I have to admit, despite the gorgeous color selection and very complex shimmer in them, I didn't find a good way to make use of them. I have rather thick eye lashes so everything which is light doesn't show up on me all that much. I also like smoky eye looks so a lighter liner is destined to be applied on the lower lash line. Other than 03 and 05, I can only use the others along the water line or lower lash line which limits the usage a lot. 01 works great on the water line to open up the eyes and make them appear bigger. I don't think these are really longer lasting than Urban Decay 24/7 Glide On ones and they are like two times more expensive. I really don't see the point but if you do, please let me know why. You can find great swatches of all the shades here at the lovely blog of So Lonely in Gorgeous. Here is an eye look using Shimmering Color Veil #37 6760 Miles all over the eye lid, Performance Eyeliner #05 along the upper lash line and 02 on the waterline. I love 6760 Miles as a stand alone eye shadow. It is so complex, you hardly need anything else on the eye look. I used MAC Quarry on the crease though just to deepen it slightly more. As for the cheeks, after swatching most of the shades, I decided on one of the coolest called Love Twist. It looks very scary in the pan but it is less vivid on the cheeks. With a squirrel blusher brush I pick up enough amount to build up a color. The packaging of this one is very simple, without mirror and very sleek but not cheap looking. It is also very reasonably priced, at about 3500 JPY if I recall correctly. You can check out Linda's swatches and review of the shades #22 and #23 here. All in all I like the shade I selected but upon swatching I have seen that some of the shades swatched a little sheerer than they seemed in the pan. I got to try THREE Velvet Lust Lipstick and the color I selected is #06 Shiva Dance. This one is really very pretty. 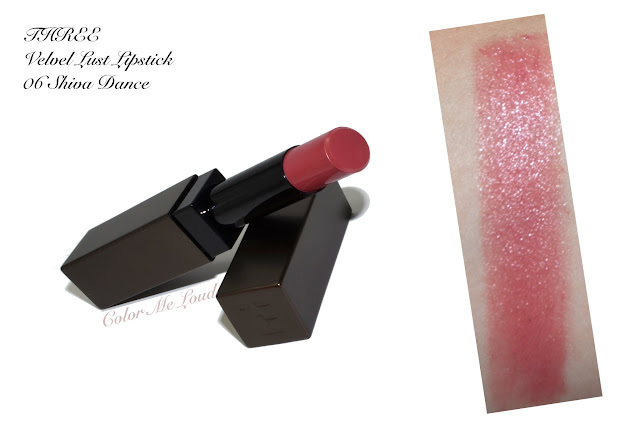 It is hydrating and pigmented, light weight and long lasting. Big love for this one. Also the color is great for everyday. Another thumbs up here. Here is the full look with the items I have just shown you. Loving the loose eye shadow pigment and the lipstick. Like the blush. Liners are a little meh but I am probably only one of the few who think that way. All of the items are long lasting. I didn't experience fading or creasing whole day. I also picked up one of their nail polishes to give it a try. It is a gorgeous lavender with a kind of jelly finish. It is a little sheer but builds up nicely in two coats. It reminded me a bit of Rescue Beauty ones with sheer jelly finish but THREE one is more long lasting. I am wearing it for four days now and there is only a slight tip wear. The other nail polished I picked up from Japan are also extremely long lasting. It is a pity that Japanese postal system is against shipping of nail polishes so it is very hard to get those. Maybe it is good for my wallet though. Here is two coats of THREE #05 Cloud Aura on my nails. Final thoughts: I hoped you enjoyed this small introduction to the items I selected from THREE during my trip to Japan. 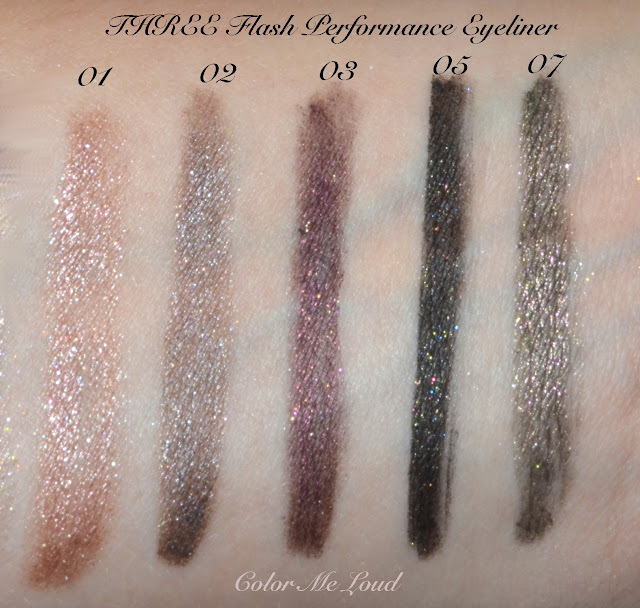 All in all my favorites of their make-up line is Shimmering Color Veils which are loose pigments with incredibly complex shimmer. I also love their Velvet Lust Lipstick formula and Shiva Dance is a superb color for my complexion. Although I like their liners, I am not head over heels with them. 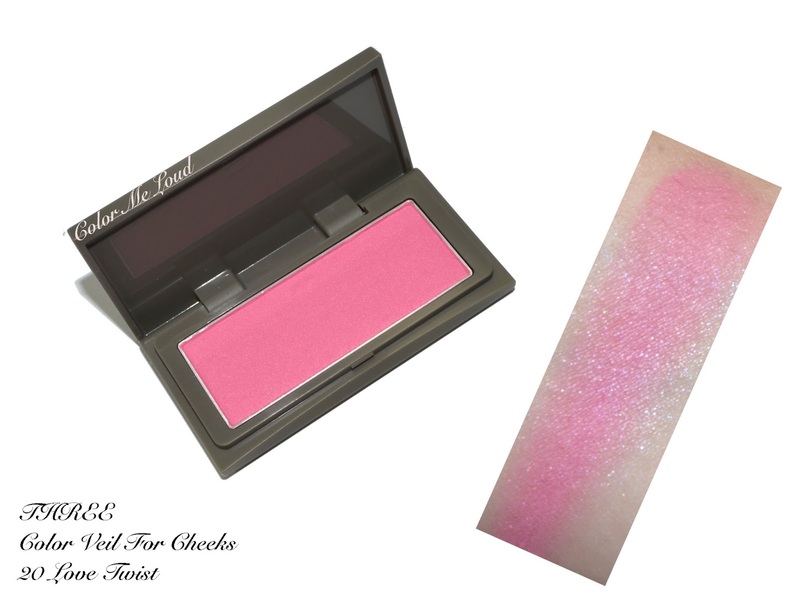 Blushes are a little sheer for my liking but I enjoy the shade called Love Twist. Have you ever tried anything from THREE? What are your favourites? 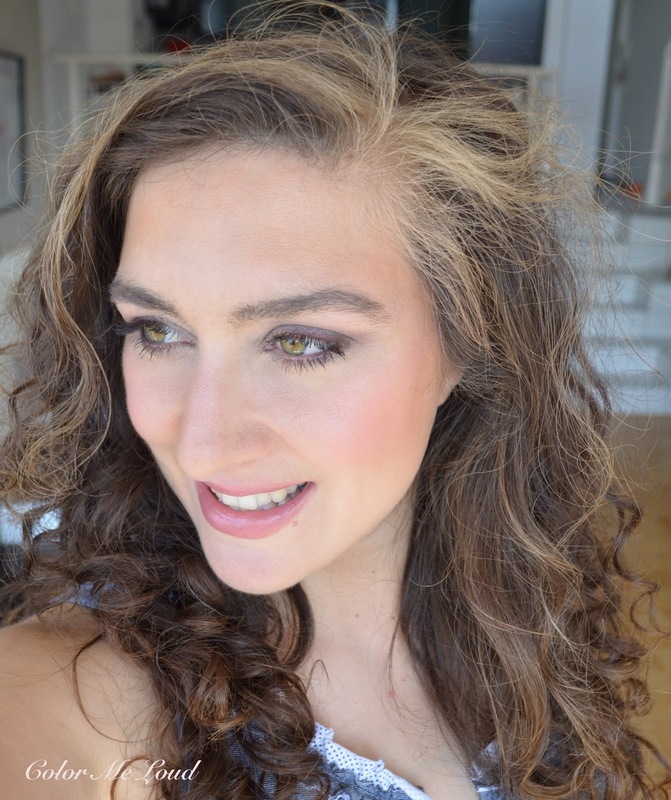 Do you like using loose pigments on the eyes? The look you made is so pretty!! I look forward to your series.I know nothing about Japanese makeup and these items are very interesting. I am on a low/NO buy status too. Except for that Chanel Fall quint. Thank you for the link love, Sara! :* I can't make the liner stay put on my lids which is a pity because as you said, they're so highly raved. I love the final look you put together there! I think i may have to give those pigments a try, because everything else from the brand is rather meh to me so far. Haha - I somehow feel I know this "is this sensible?" look from hubbies! I get it every weekend lol!! Lovely post Sara, thanks for introducing the brand. i don't know THREE but I liked the look you created here. The loose shadow looks great, but I have to say I would be interested to have a look at the liners if I had a chance :). I haven't tried any Asian brand! 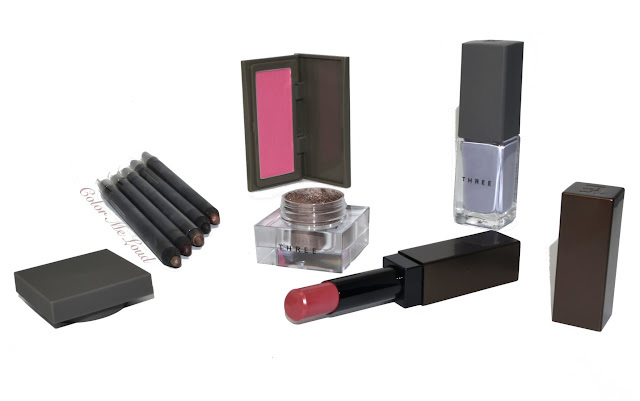 all the items look lovely but I specially like the blush! Thank you so much for the link love, too. It's funny that even though that loose shadow is very easy to work with, I eventually got rid of since, since my vast preference is for the regular pressed pans. wow this is a great introduction to the brand. The loose pigment looks so beautiful! Can I ask what you use to get them to adhere to the eyelids? lol I know what you mean with the loose pigments. They are a little messy. But they have advantages over pressed ones, similar to pressed and loose finishing powders. They can be more finely milled for example. Nevertheless it is a lot of work lol. Oh yes, Ipsa, i will be posting about it soon. Contouring/highlighting is not all that big there so that one is really very subtle but beautiful. yes it is almost exclusive to Japan. I believe Tailand and Indonesia have it and maybe a few more other countries carry the line in a store or two but in Japan they have lots of counters. You can also order them from Ichibankao or via personal shoppers in Japan. I know right, those liners a little too hyped. They do stay on me but almost everything stays on me, even powder eye shadow used as a liner. And I don't know, they are pretty but not all that special. I know what you mean, I feel similar, especially about their quads. The same goes for me. I like everything pigmented (lipstick, eye shadow, etc.) but with blush I am happy if it is a little sheer. I hate clown cheeks and although some people can pull off over blushed looks so effortlessly that is something I can never tolerate and find nice on myself. Liners are nice if you use a liner alone as a look. I don't but I know people who do it and they look great. I know right, Japan is so dangerous! I applied them directly over Nars Pro-prime and it didn't generate fall out. This one is so finely milled, it adheres by just pressing. I know not all the loose pigment is like that though. LOL expensive, yes it is what it was! Shading Wand, ooh, I haven't got it why why!!!??!? It is very frustrating to try to get japanese nail polishes. RMK ones are available at Beautybay though, and they are superb quality. I recommend you check them out so that you can redefine the meaning of"staying power" lol. I like their eyeliner for exactly being half-sheer comparing to UD :) When I wear semi-transparent cream eyeshadow, like Dior myriade, new Guerlain white sand or Elizabeth Arden, I find the UD to be too intense and opaque to be paired with them. Something sheerer, like Three or Chanel perle de lune liner, suits then better. my fiance now teases by sending me to the "makeup anonymous", every time he receives another package of mine. he believes that I would be confiding there to people about my new eyeshadow palette with a broken voice, tears in eyes, and pass it to others with shaking hands :) what a gross exaggeration! Oh of course if you like lighter, sheerer shades for a liner, than those are exactly for you!